This is a circuit with an identity crisis. Is is a booster? Yep, sure is if you run the dirt down low and volume up high. Is it an overdrive? Well, yes, it does that, too, all be it a more gritty, primitive overdrive (this is NOT a toob screemer). Does it do fuzz? Absolutely! 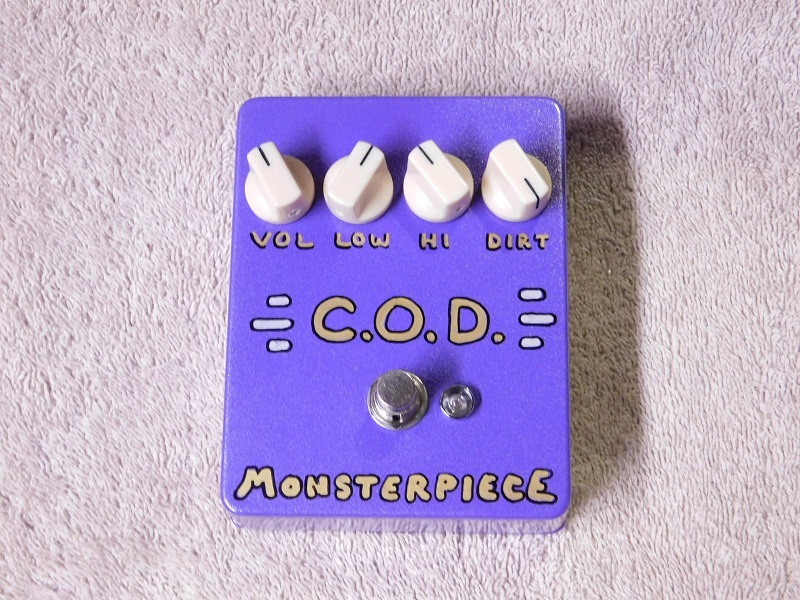 Massive glorious explosions of fuzz will ooze from your speakers when the dirt is cranked. The C.O.D. is also very dynamic and responsive to your guitar volume knob. Volume, Dirt, Low, Hi. 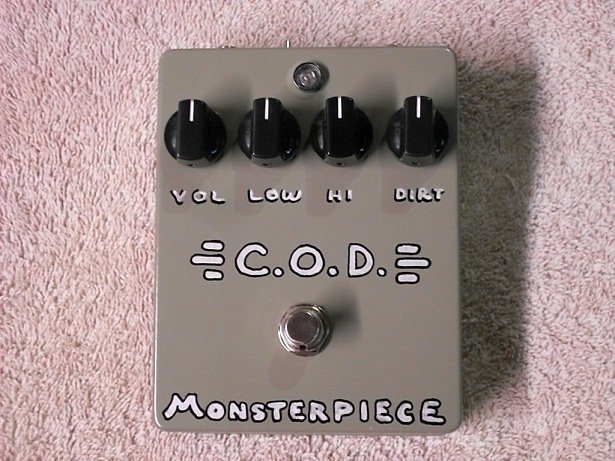 The Dirt control goes from no dirt at minimum setting, to massive fuzz at maximum setting. 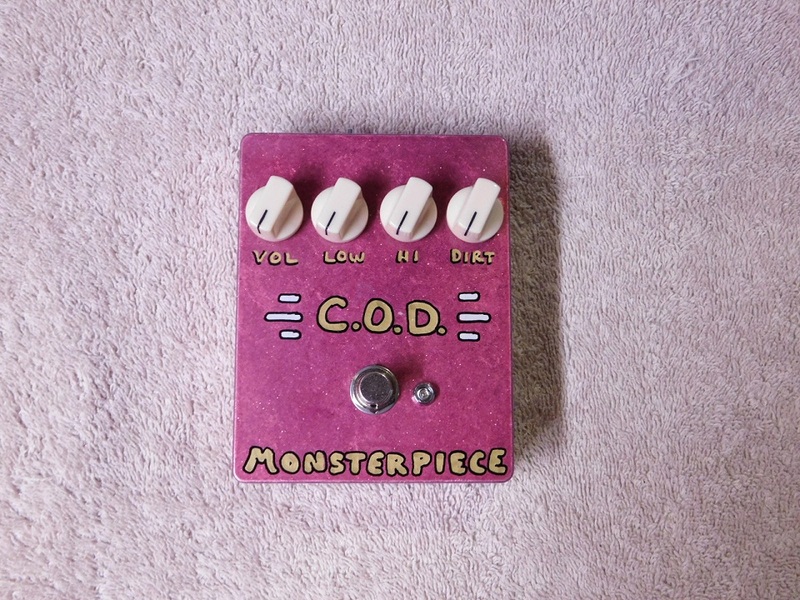 The Monsterpiece C.O.D. Overdriver can be powered by 9 volt battery, or with a standard center negative barrel plug 9 volt dc adapter.